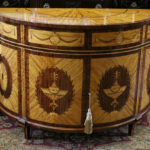 This is a gorgeous SOLID AND HEAVY PIECE made of satinwood and walnut and in perfect restored and French-polished condition. 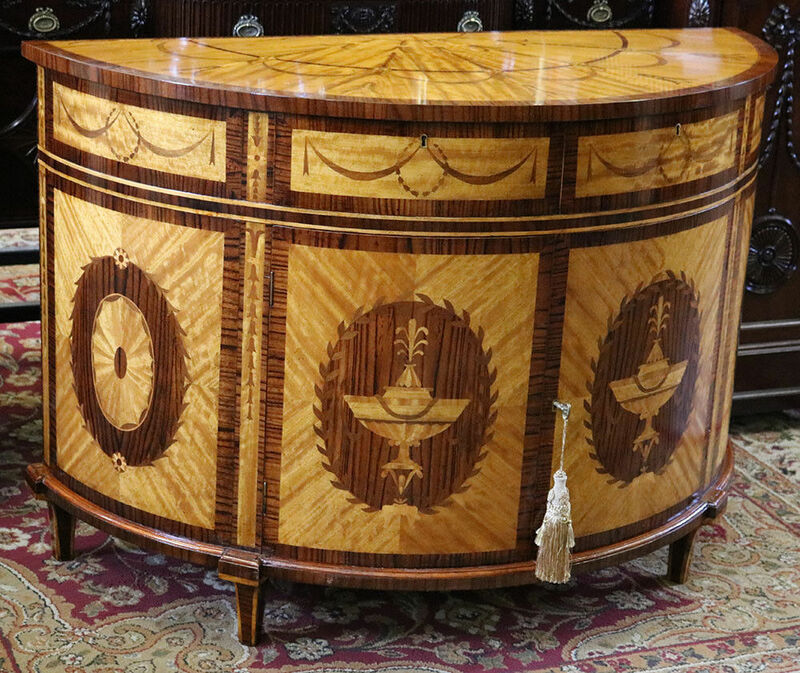 Look at the bright and beautiful wood quality and spectacular finish. 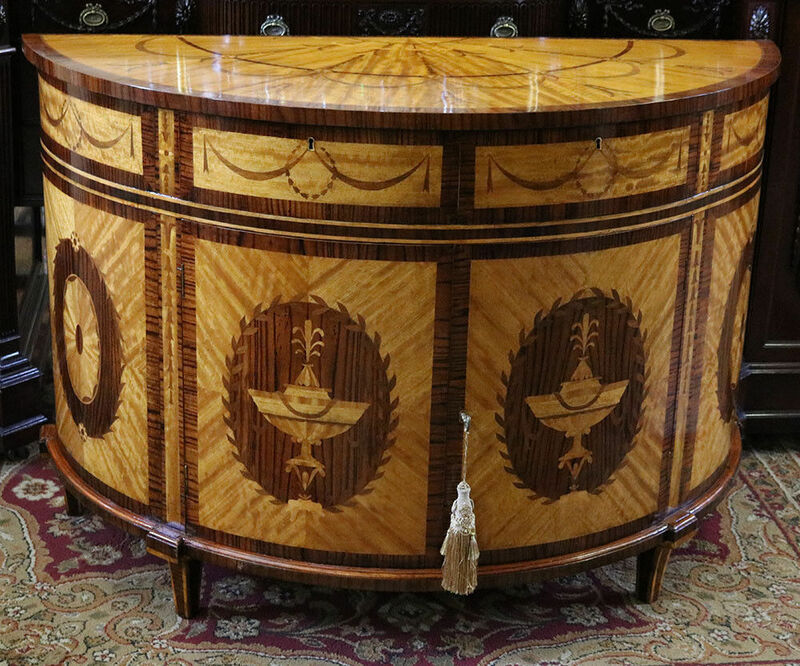 Notice the inlaid urns and gorgeous design of this statement piece! Dates to the 1950s and is Italian in origin. 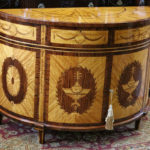 Dave 215.749.2104 for questions about the cabinet or delivery costs.